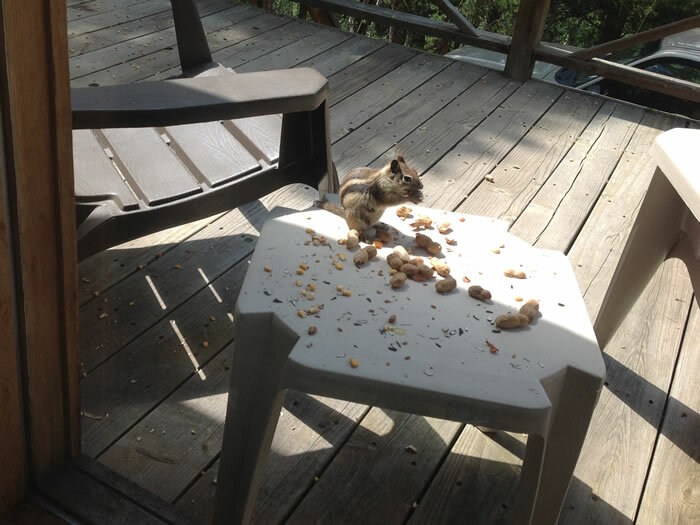 Chipmunk enjoying peanuts on the deck. 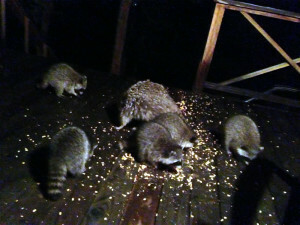 A family of raccoons enjoying peanuts on the deck. 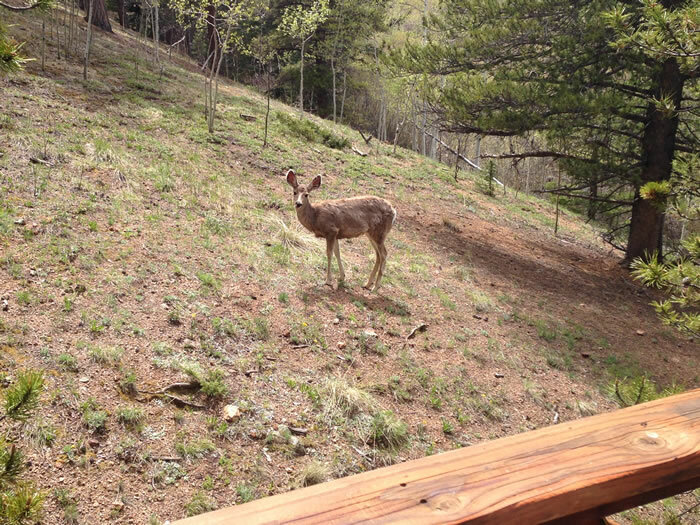 A sweet little doe deer feeding off the deck. 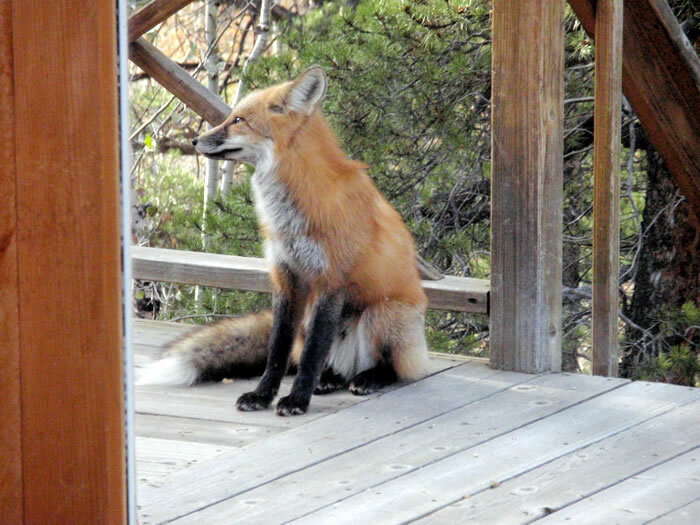 It’s common to see a red fox walk up on the deck to see what the squirrels are eating. 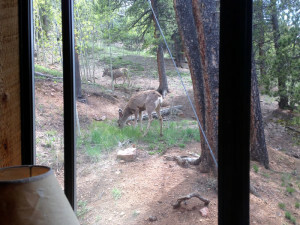 More deer feeding outside the kitchen window. 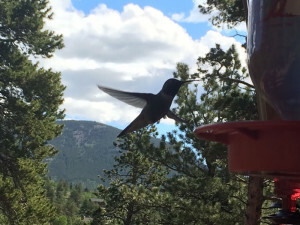 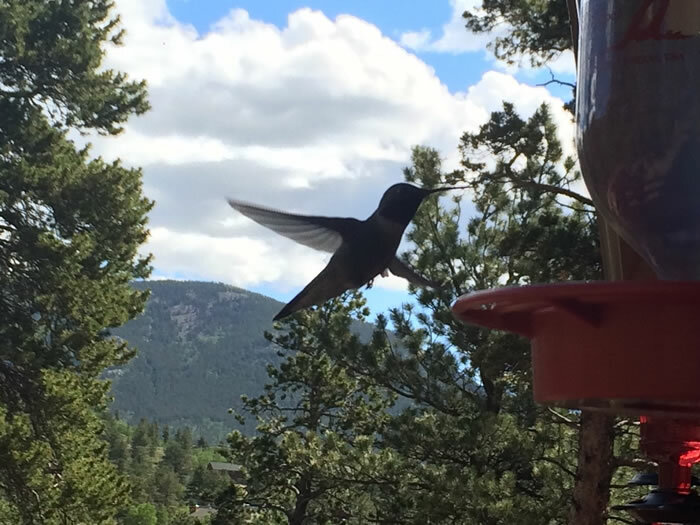 Lot’s of hummingbirds enjoying the 4 feeders. 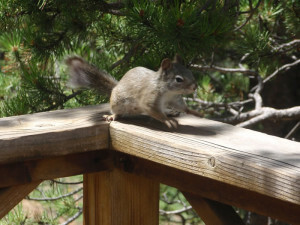 Happy squirrel on the deck hoping for peanuts. 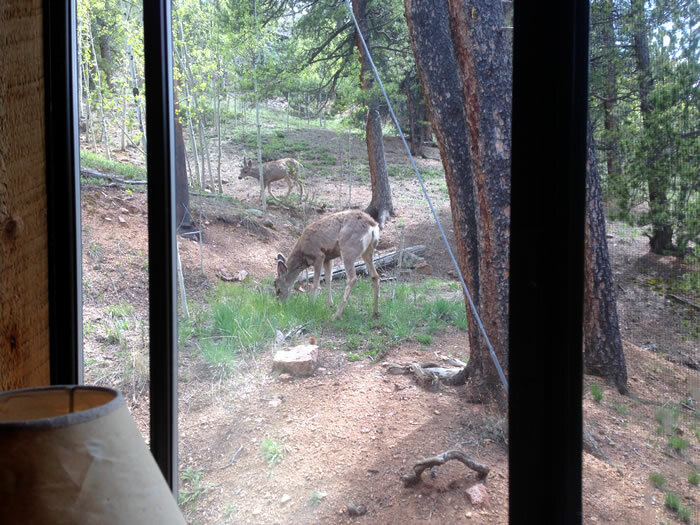 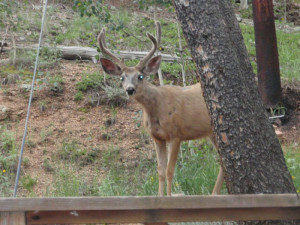 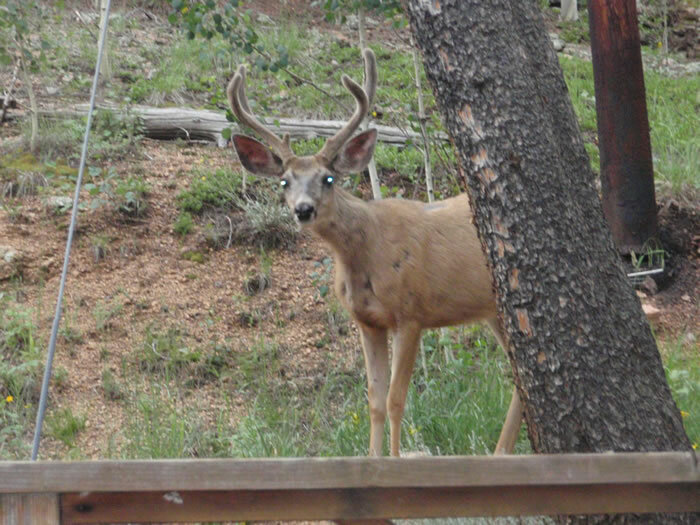 Buck deer outside the kitchen window. 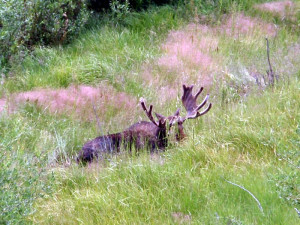 Moose in the marsh across from the cabin.